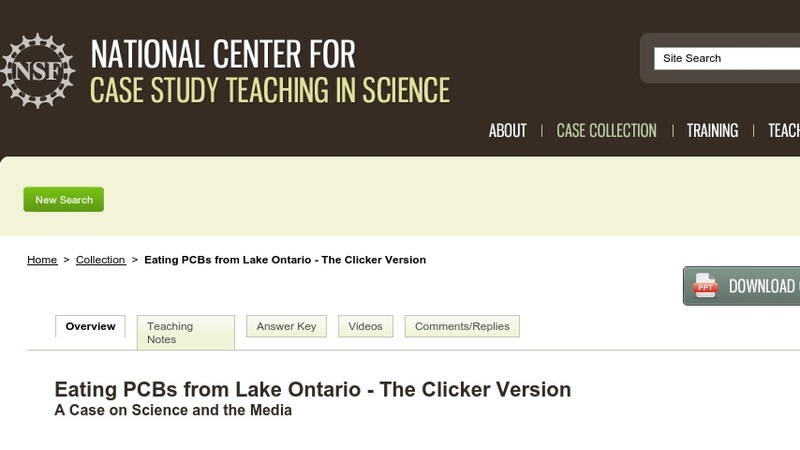 This is a “clicker” adaptation of another case in our collection, “Eating PCBs from Lake Ontario: Is There an Effect or Not?” (2001), written by the same author. It encourages students to examine how scientific results get presented and interpreted for the public as well as how experiments are planned, carried out, and analyzed. Students read three different news reports about the same scientific study, then sort through the different accounts to determine for themselves what happened in these studies and what the findings were. The case illustrates the complexities of scientific reporting and challenges students to figure out the original research design and data. It was designed for an introductory biology course for majors that uses personal response systems, or “clickers.” The story is presented in class using a PowerPoint (~1MB) presentation punctuated by multiple-choice questions that students answer using their clickers.